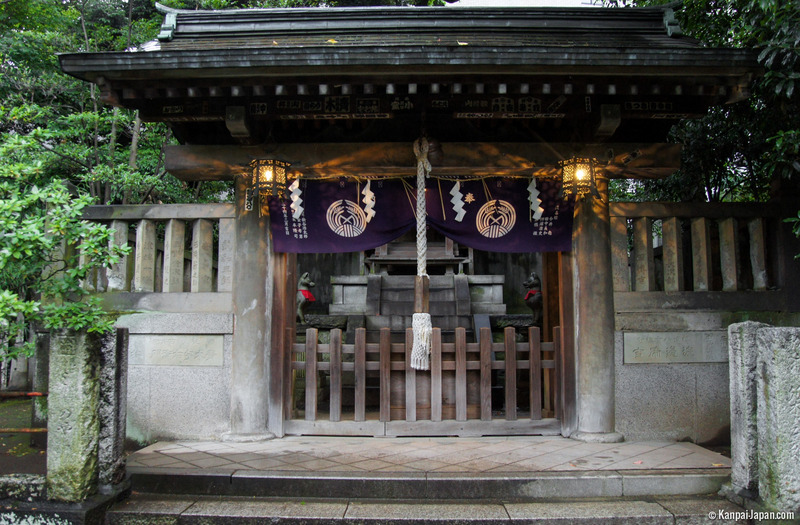 Nezu Jinja is a Shinto shrine dating back from Edo period, located in Bunkyo Ward in Northern Tokyo. 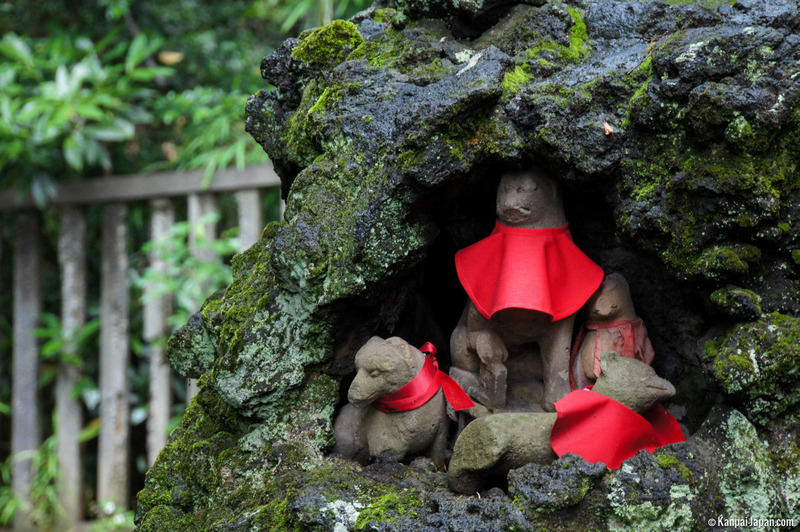 It is famous for its azalea hill revealing bold colors each spring during Tsutsuji Matsuri festival. 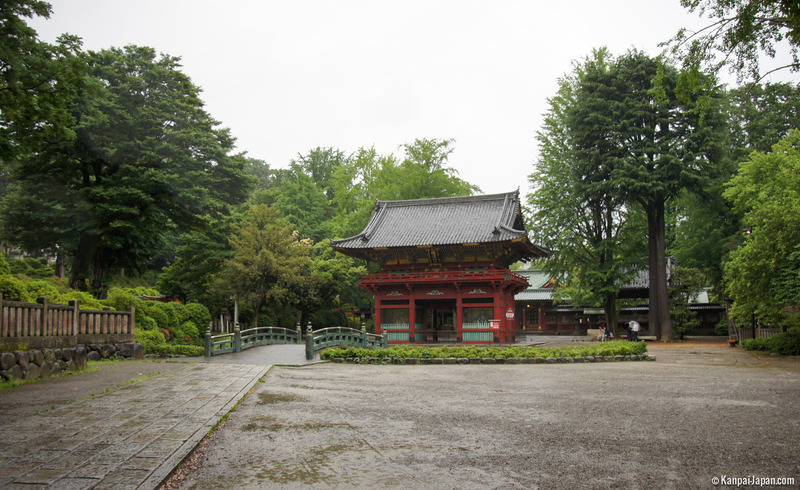 Several well-preserved buildings, including the main hall, are designated as Important Cultural Properties of Japan. 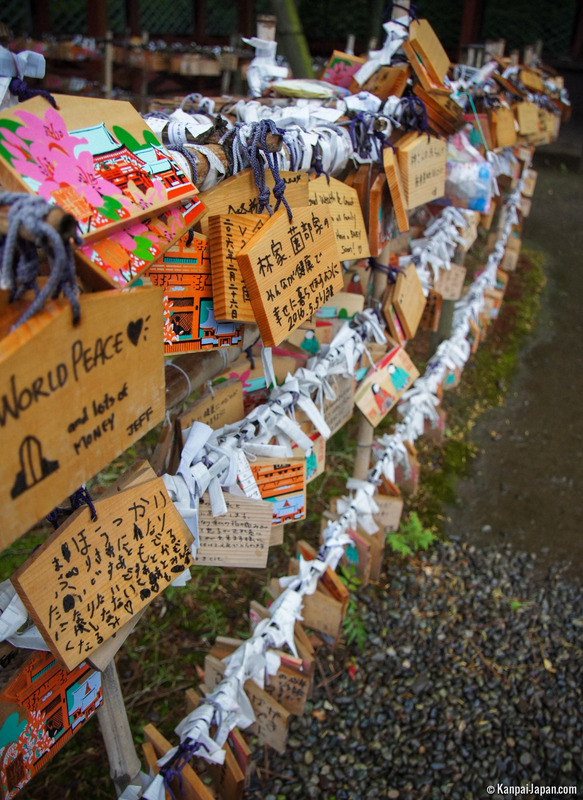 Among the major Tokyo Shinto shrines, Meiji-jingu and Yasukuni stand out most of the time. However, it is forgetting one of the most beautiful and pleasant ones. 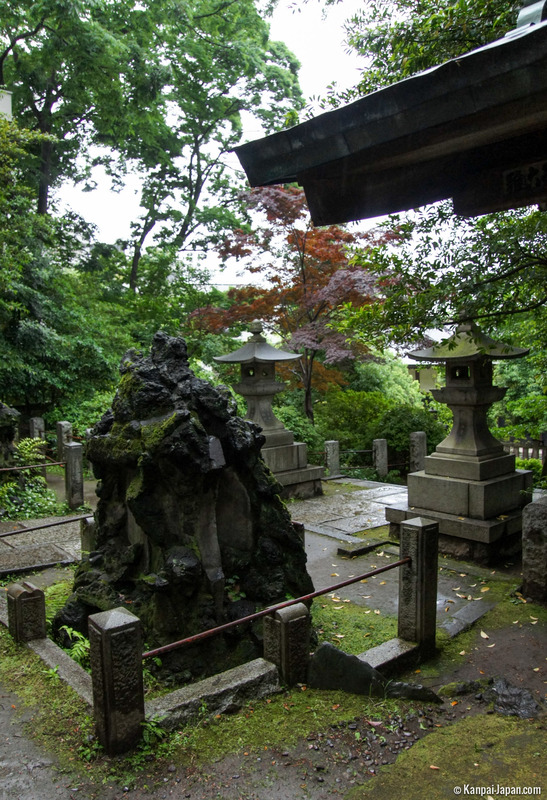 Nezu-jinja, in the eponymous district of "Yanesen" area (short for Yanaka / Nezu / Sendagi), happens to be very quiet in the heart of Tokyo and it would be a shame not to include it on your visit of the old neighborhoods. 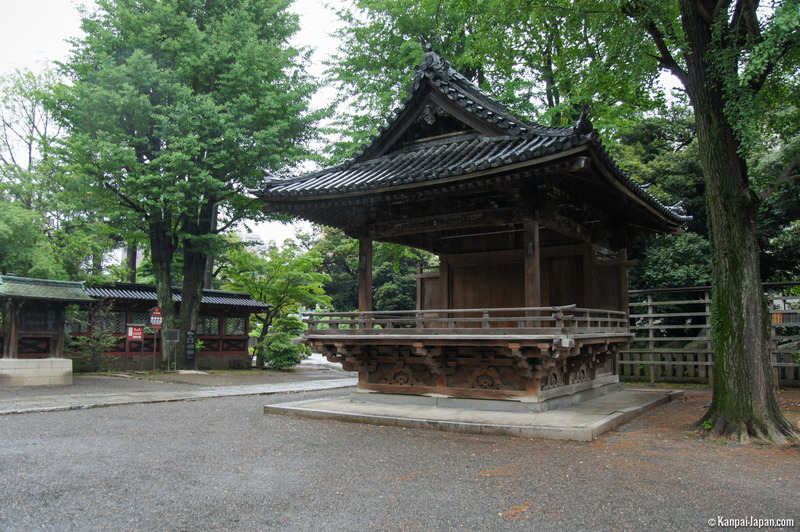 Legend says that its construction initially in Sendagi dates back two millennia ago, in the honor of Susanoo god, initiated by the prince and hero Yamato Takeru. 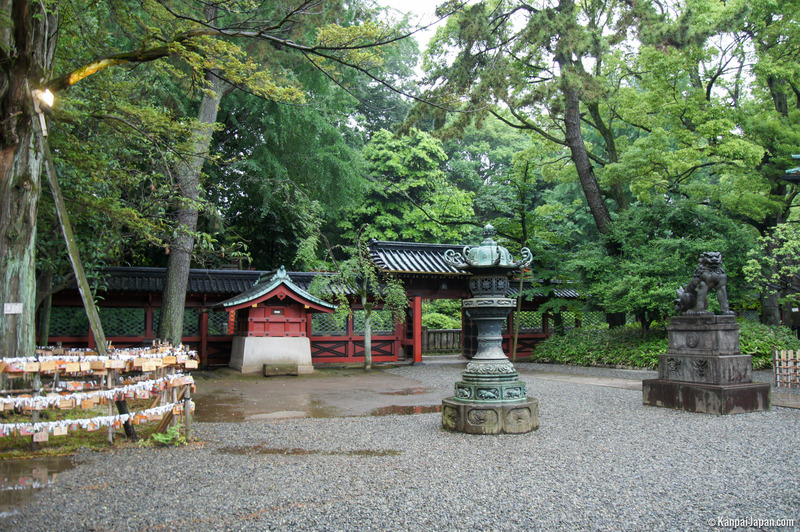 In 1705-1706, in the first half of Edo period, shogun Tsunayoshi moved it to Nezu, its final location close to Ueno Park. 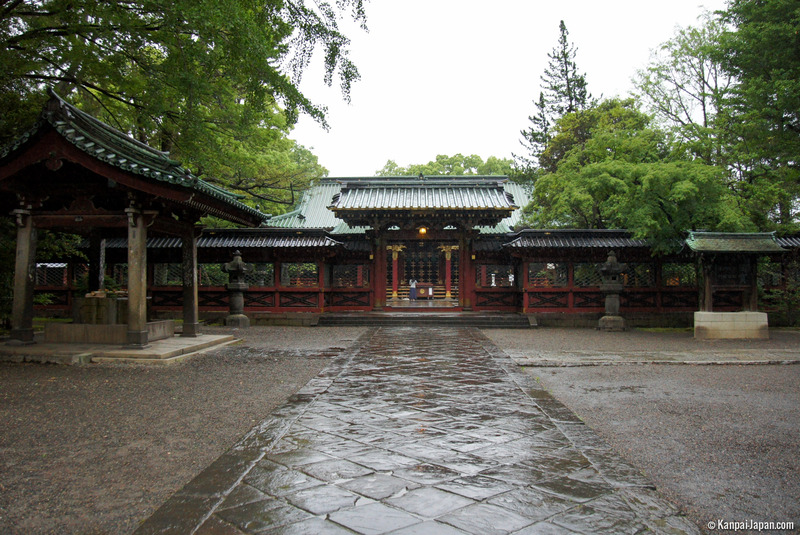 During this period, most of its buildings were renovated or built to display their current aspects. 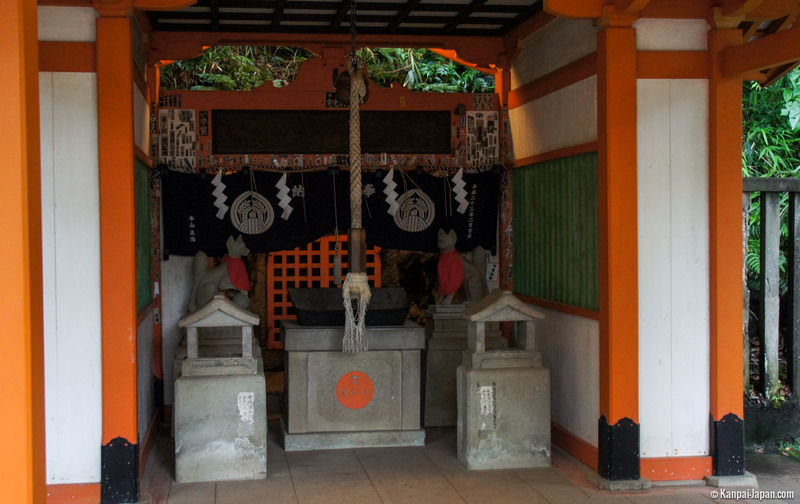 In a Japanese history which knew many wars and fires, and in this megacity almost totally erased by the Second World War air raids, it happens to be pretty rare and therefore Nezu Shrine is one of the oldest in the capital. 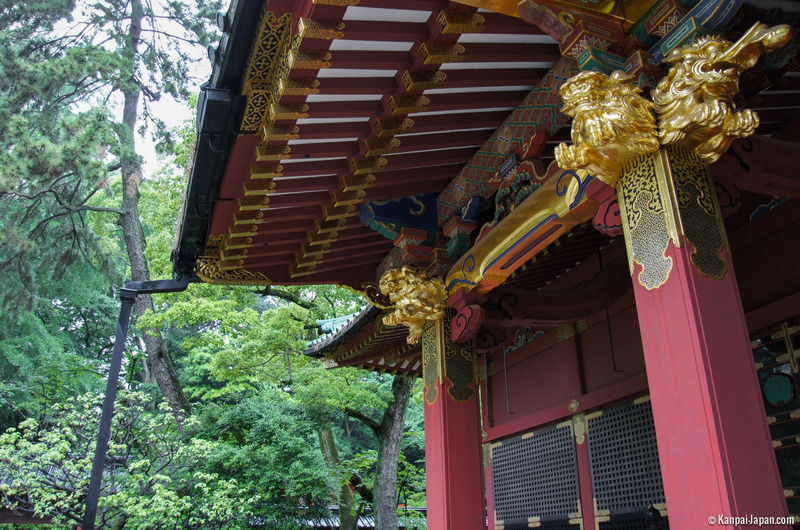 In 1868, Meiji Emperor regarded it as one of "Tokyo’s top ten Shrines" and you can notably find it in Natsume Soseki’s novels. 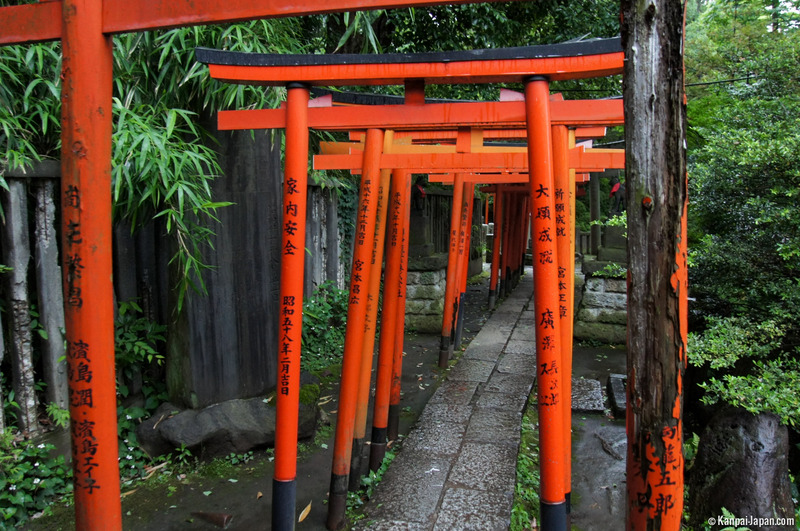 Many of Nezu-jinja's structures were designated Important Cultural Properties of Japan. 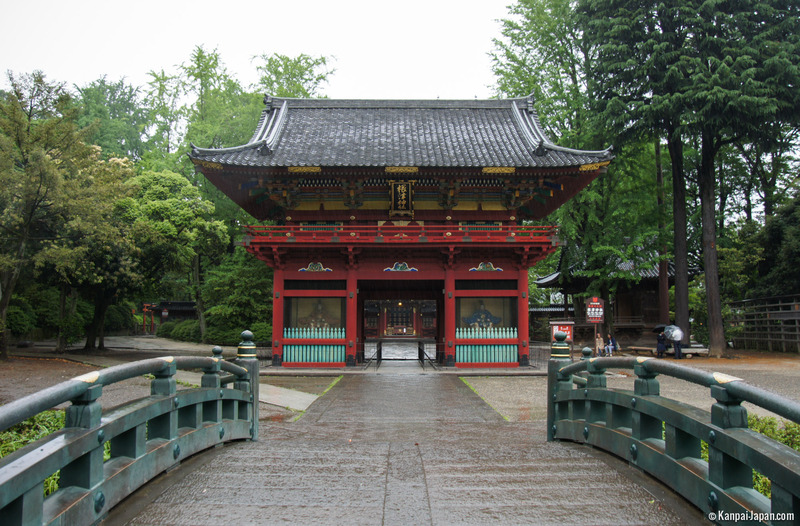 The wooden architecture of features comes from the Gongen style (or Ishinoma-zukuri) known in Nikko Toshogu Shrine. 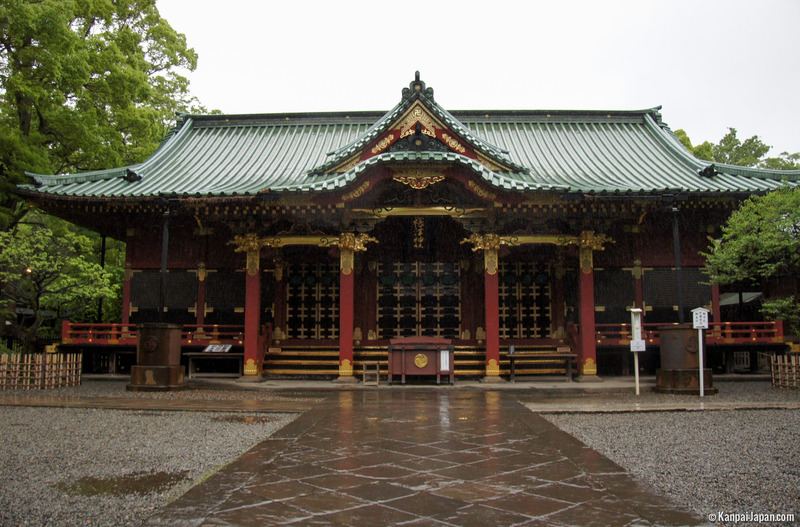 It is found in the main hall (Honden), the worship pavilion (Haiden), the offertory house (Heiden) and also in the huge gates (Karamon and Romon). 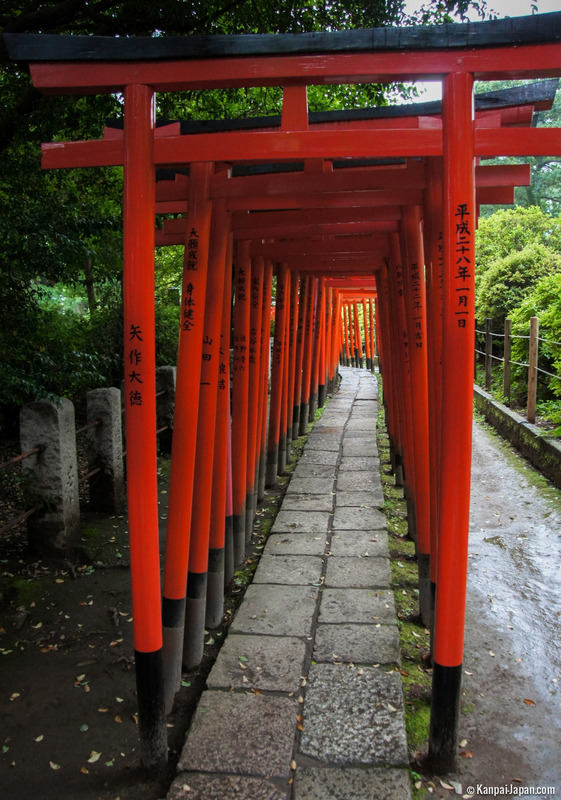 But maybe one of its main appeals is set along the small red torii tunnel located on the hill, creating a scenic gate pathway similar to the one in Fushimi Inari Taisha (or closer in Hie-jinja). 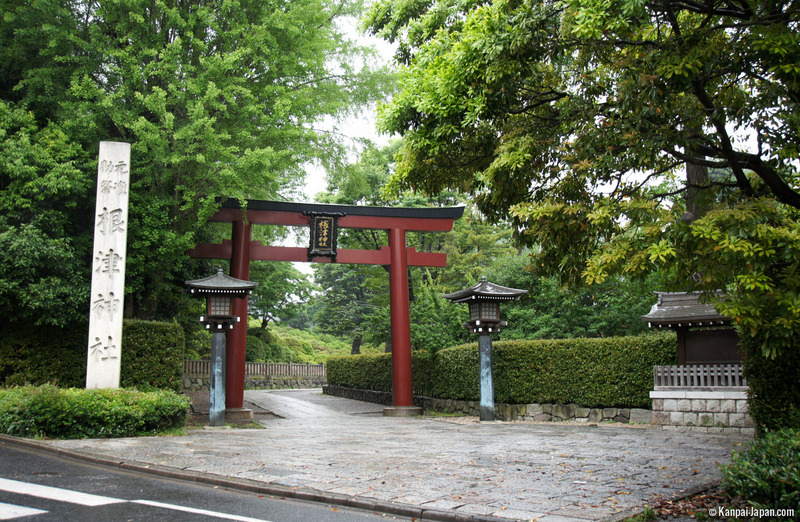 Throughout April and until early May, the shrine hosts Tsutsuji Matsuri: a traditional festival of three thousand azaleas flowers where about a hundred different varieties are blooming over more than half an acre. The garden reveals splendid colors from pink to purple, along with white and strong orange, creating an elegant and spectacular landscape. Also during fall season the place enjoys beautiful reddish colors. 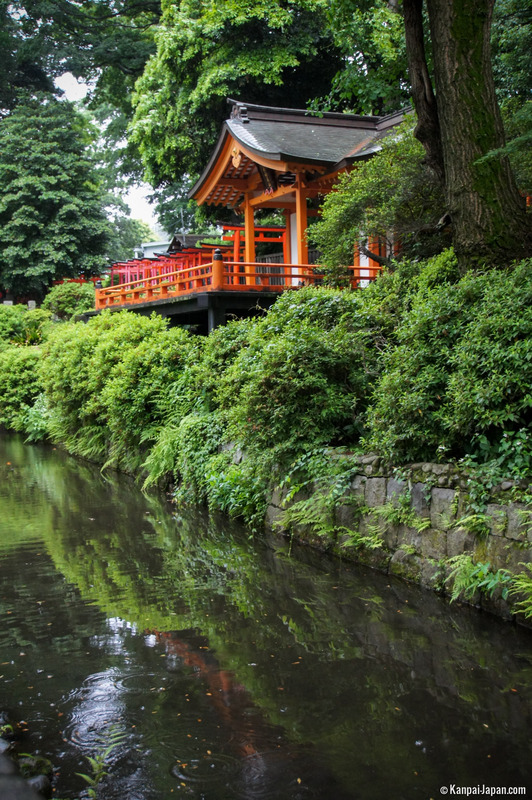 All year round, visitors from the surrounding area enjoy the charming atmosphere of Nezu-jinja, its elongated pond with koi carps or its hidden walkways nestled in lush greenery. 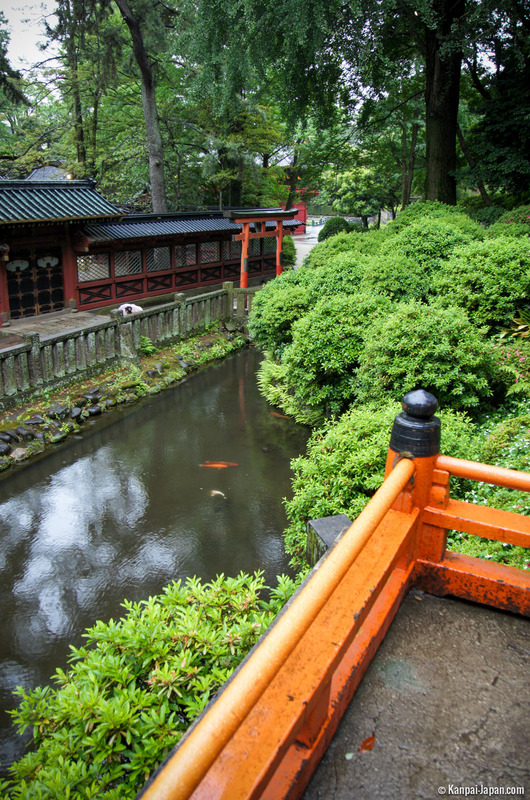 For this reason, it is also popular with newlyweds who come to celebrate their union in this unusual Tokyo landscape.